One-Bowl Vegan Chocolate Chunk Cookies made with sprouted spelt flour, no nuts and with no refined sugar! 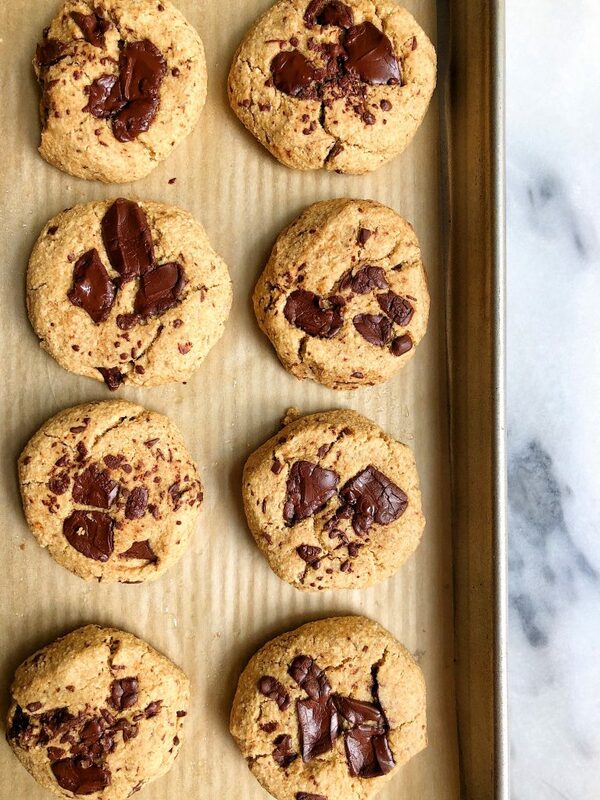 The easiest and healthiest chocolate chip cookies to bake to satisfy those cookie cravings! As a self-proclaimed cookie monster, I have a new favorite cookie in my life. Which I likely say after every single cookie recipe, but just go with it. I have passion when it comes to those dreamy cookies especially ones topped with melted dark chocolate chunks and that satisfy my sweet tooth while also fill me up on good ingredients. 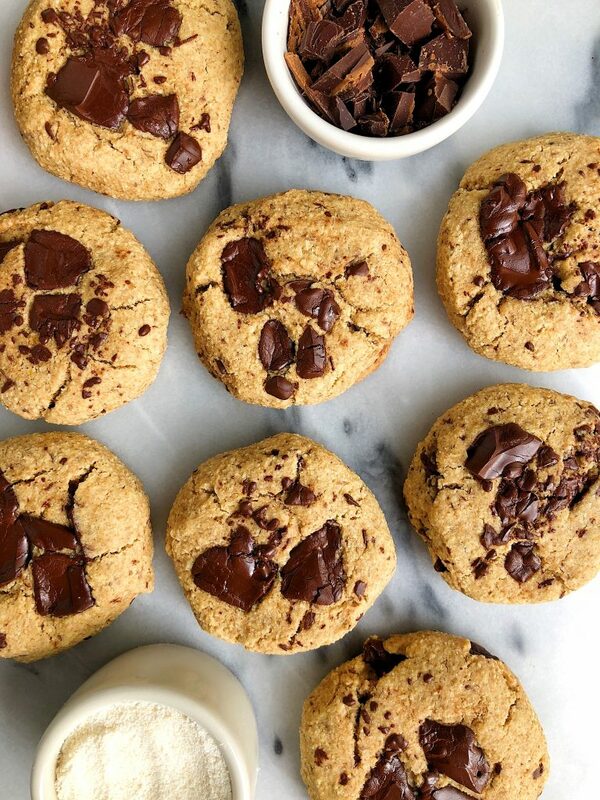 These One-Bowl Vegan Chocolate Chunk Cookies are sweetened with a little maple syrup and I use dark chocolate that is sweetened with coconut sugar, making them clear of any refined sugars. I am all about moderation so obviously I do eat cane sugar once in awhile but if I’m going to have cookies often, I want them to be made with wholesome goods and won’t spike my blood sugar like crazy. If you make these cookies, don’t forget to share with me on social. I cannot wait to hear what you think! Here are a few of my other favorite One Degree Organic recipes on the blog for you to make soon too: Heathy Carrot Cake Loaf, Vegan Cinnamon Rolls and Nutty Chocolate Rice Krispie Treats. Bake in oven for 8-10 minutes and enjoy! Will stay good in airtight container on counter for 3-5 days or you can store in freezer for longer! 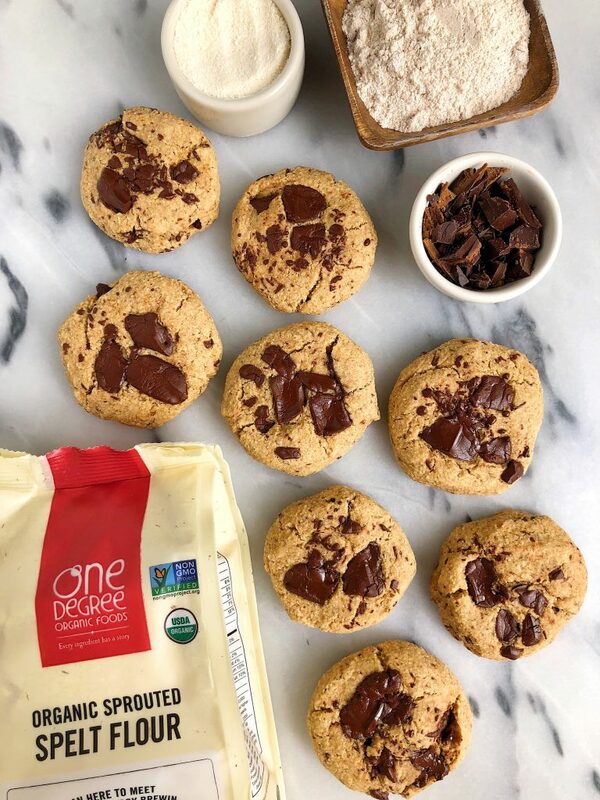 Thank you One Degree Organics for sponsoring this post! It means so much to me to work with brands I love and believe in!